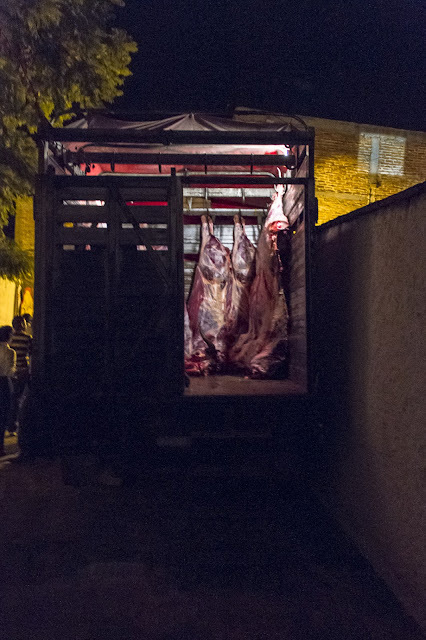 Sides of beef for the poor outside Plaza de Toros Oriente after the corrida at 8:36 p.m. on 16 September 2012. It is only another abattoir. A little more tricked out than the others is all.